ViewPoint Center is a private mental health hospital for Maine teens that has all the necessary experts in one place. We believe that a proper and extensive assessment can be conducted only when all the information gathered from doctors, therapists, and psychologists is gathered in one place and analyzed. 3 out of 4 patients that we admit have the wrong diagnosis and therefore cannot be properly treated. 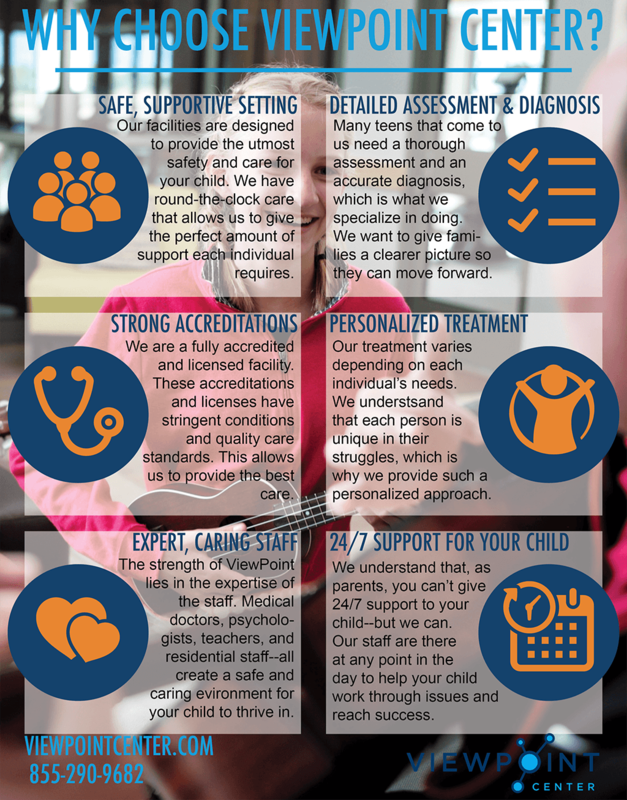 As a private mental health hospital with a top-notch staff, we are capable of establishing a proper diagnosis and a course of action to help our Maine patients. Although we are not located in Maine, we help teens and families from all over the country. What Can You Expect from This Private Mental Health Hospital For Maine Teens? As a top-rated private mental health hospital for Maine teens, we at ViewPoint Center believe that a proper diagnosis of our patients is a key to helping them get better. 3 out of 4 patients that come to us are misdiagnosed. With an inaccurate diagnosis, every treatment plan is bound to fail. That’s why we put together a team of experts from all the relevant fields of psychology and therapy to assess our patients from every possible angle. Such a comprehensive evaluation allows us to create a unique treatment plan for every single of our patients. It’s what makes our private mental health hospital for Maine teens stand out from all the others. Although we are located outside of Maine, we help teens from all over the country find success.